Barbara Crowley first came to Ferry Beach in 1985 during the CVD Family week. For the last ten years she has been an avid fan of Quilting by the Bay, and has found the Beach to be a place of rest, reflection and creative change. She is proud to be a sustaining member of Ferry Beach. After having helped with the search for Ferry Beach's newest Executive Director, Barbara was pleased to be asked to serve on the Board and continue the work of enlivening and actualizing our UU principles at the Beach and in the world. Having worked as a pediatrician most of her working life, Barbara is Executive Vice President at Maine General Health. She still lives in Maine - in a small town, Manchester, right next to the capitol of Augusta. Marty Burgess is a small business owner of Violence No More in Biddeford, Maine. 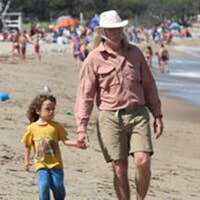 He has been a member of Ferry Beach since the 1990's when he and his partner Christine and their combined family of teens: Trevor, Tyler and Katie first started camping in the Grove. He and his family are mainstays of the Family and Friends conference. Marty is active in the Domestic Violence Network in Maine and an active member of his communities in both Biddeford, where he works, and Kennebunk where he lives. Marty coordinates the kayaking and paddling program at Ferry Beach and was instrumental in starting the Fog Dogs of Ferry Beach, a paddling club. He loves all sport and in the winter time when he can't be on the water or on his bicycle, he is skating or cross country skiing. Doug Atkins recently retired from a career which spanned forty years at Colby-Sawyer College, a comprehensive liberal arts and sciences college in New London, N.H. At the time of his retirement, Doug served as Senior Vice President and Treasurer, having held numerous roles at the College during his tenure. In these roles, Atkins oversaw the college’s campus facilities, athletic and recreation programs, human resources administration and central purchasing, as well as its food services, bookstore, and summer conferences. He was also responsible for the college’s insurance and risk reduction programs. Doug has also been employed as the business manager and assistant treasurer for Historic Deerfield (Mass. ), and as the business and employment manager and assistant general manager for King Ridge, Inc., a ski resort formerly located in Central New Hampshire. He currently serves as Summer Venue Coordinator for the Gordon Research Conferences, of West Kingston, RI. Atkins earned a B.A. in American History, Economics and Political Science at Eisenhower College in Seneca Falls, N.Y. 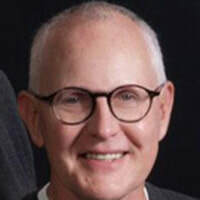 He has since completed educational courses and workshops in business, risk, project, and financial management and higher education leadership at Plymouth State University, Colby-Sawyer College, the American Institute of Banking, the National Association of College and University Business Officers and the American Management Association. For many years, Atkins has been involved in his community in the New London-Lake Sunapee area of New Hampshire. He has served as a selectman in New London, and as president of the New London Historical Society, in addition to having served as treasurer for St. Andrew’s Church and Tracy Memorial Library. In recognition of his involvement in the community, he was awarded the Town-Gown Award by Colby-Sawyer College. Currently, he serves as treasurer of the Unitarian Universalist Church of Manchester, NH. Atkins first came to Ferry Beach in 2012 to attend GAYLA. In 2015 and 2016, he was one of the Coordinators for GAYLA. He lives in North Sutton, N.H., and has two grown children, Bryan and Suzanne. Doug enjoys spending as much time as he can with his partner, Paul Belyea, of Dunbarton, NH. Ron grew up in central Texas and moved to Washington, DC as a young man after law school. He says the general practice of law and life as a Gay man in a homophobic culture were two things that did not suit him. Ron held various positions in the US Dept. of Labor during his 30 year career in the Federal government in DC. He retired in 2010 and moved to Lowell, MA where he now lives with his spouse, Bill. Ron and Bill are both Ferry Beach Life Members and active participants in GAYLA. Ron has been an active UU since 2002, is a facilitator/teacher of Sacred Circle Dance (which he learned about at FB), and has been active in 12-step recovery for 25 years. He was among the founders of the Triangle Club in Washington, a non-profit meeting space for Gay/Lesbian groups of 12-step fellowships, and served on the Club’s initial Board of Directors for a few years, acting as Secretary during part of that time. Ron has also served on the Board of the Dept. of Labor Fitness Assn., including time as Secretary, and on the Session (governing body) of a Presbyterian church in Washington. Ron believes this is an exciting time to be part of the Ferry Beach family, and is looking forward to being part of the efforts to make Ferry Beach work even better for even more visitors. Pam is a resident of Old Orchard Beach, Maine where she and her husband have built their retirement home. She has spent the last 3 summers at Ferry Beach with her grandchildren. She has been a member of a number of UU churches most recently at the Unitarian Church of Barnstable MA. She loves coming to Ferry Beach, is enthusiastic and wants to participate in the future of Ferry Beach. She also is well connected in the southern Maine area. Steve is nearly a life long UU and has been a Ferry Beacher since the mid-1980s when the family would camp in the Grove for a week each summer. His wife, Carolee Anderson, has been a Ferry Beacher her entire life and it was thanks to her that he became acquainted with Ferry Beach. Their children Tyler and Emma grew up in the children and youth camps. Steve has been on staff of Different Drummers and FUUTURE youth camps, and has served as co-coordinator as well. Steve has been an active member of the UU Society of Wellesley Hills, MA for over 20 years, and has also served on a variety of committees. 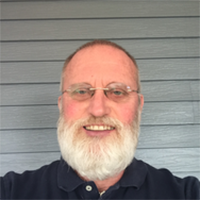 Professionally, Steve is a registered professional engineer in Massachusetts and has been the Town Engineer in Weston, MA for 12 years. His interest in serving on the Ferry Beach Board of Directors is to be able to give back to the place that has provided so much growth and support for his family over the years. Caitlin Peale Sloan is an environmental lawyer specializing in energy, climate, and water with Conservation Law Foundation in Boston. Caitlin is an almost-lifelong Ferry Beacher, first attending RE Week as a child before finding a home with Family & Friends at age 9 (in addition to summers at Kids for the Earth and Different Drummers). 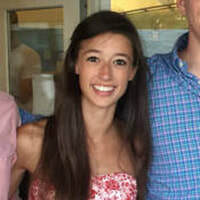 Caitlin is a 2006 graduate of Colby College and a 2011 graduate of Columbia Law School. Jessie is a resident of Bethesda, Maryland. She has been a long time Unitarian Universalist since joining the UU Church of the Upper Valley (VT/NH) while she was a graduate student at Dartmouth College. After completing her MBA, she returned to Princeton University where she worked for the office of the Vice President for Campus Life and served as the lay Chaplain for the UU Campus Ministry. Jessie spent ten years as a management consultant in the Intelligence Community and studied part-time at Wesley Theological Seminary. Since 2014, Jessie has combined her business and ministry experience in her financial services practice at New York Life where she specializes in retirement and estate planning. Jessie is a member of the River Road Unitarian Universalist Congregation. Dee was born and raised in Bangor, ME. She first attended Ferry Beach as a Different Drummers camper and shortly thereafter began attending Family and Friends week with her family. She has held several leadership roles in the conference. 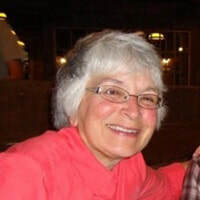 Dee was raised at the Unitarian Universalist Society of Bangor where she remained an active member until she moved out of state after graduating from the University of Maine. While a student, she founded a non-profit organization to raise funds for an orphanage she worked for in Uganda. She has since traveled all over the world. Dee currently lives in NYC and works for a progressive new internet service provider called Starry. She is their Knowledge & Content Manager.